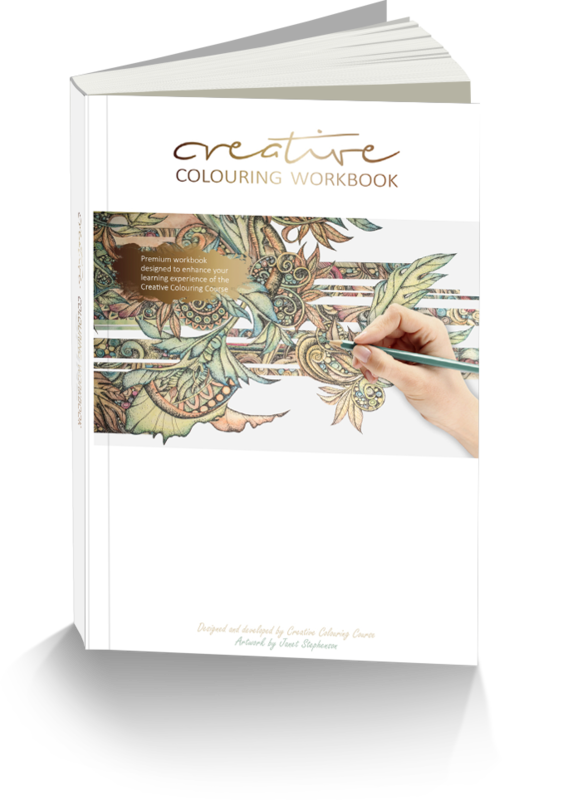 The premium quality, 100-page A4 workbook is designed to enhance your learning experience of the Creative Colouring Course. 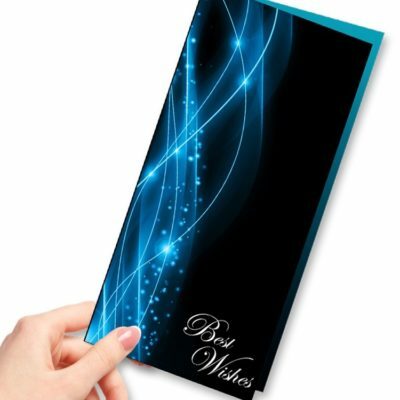 Each page is printed onto 190gsm premium paper. It not only looks great, it feels special too. Inside the workbook you will find the exact templates used by our expert tutor to demonstrate the techniques taught throughout the course. 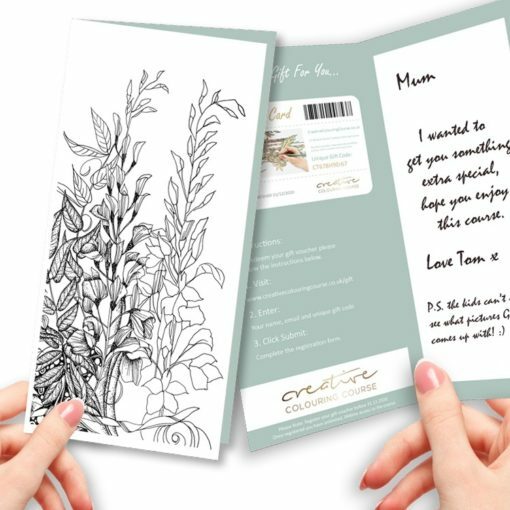 Templates include grid boxes, texture boxes, pattern boxes, colour circles, collage cuttings, practice doodles, a variety of intricate designs to work into. 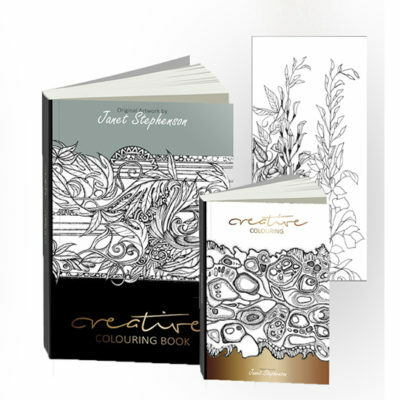 The book also includes Janet Stephenson’s own exclusive artwork for you to colour, add texture and complete using your own ideas, style and much more. 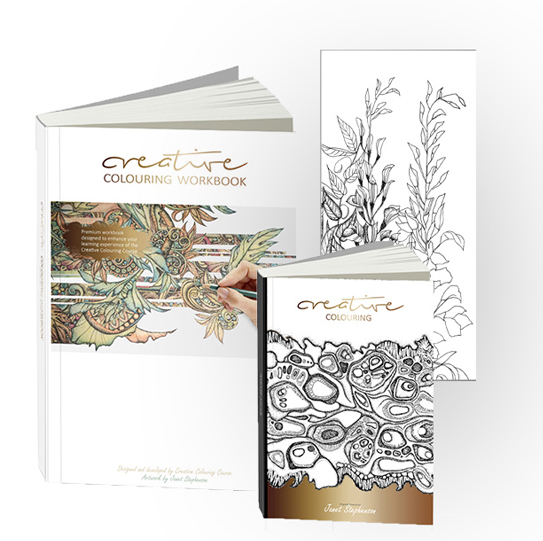 For the ultimate learning experience, why not purchase the premium quality, 100-page Creative Colouring Workbook – which you can use in conjunction with the follow along creative colouring course? Each page is printed onto 190gsm premium paper which means it not only looks great, but it feels special too. 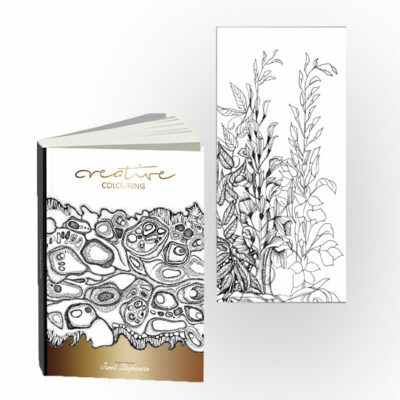 People learn in different ways and have different reasons for taking the course and that is why we have teamed up with Janet Stephenson to create this limited edition, exclusive workbook. 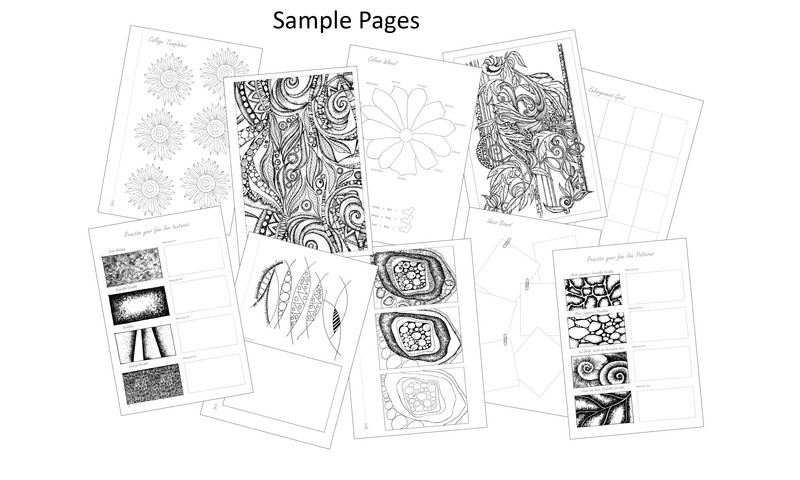 Inside the workbook you will find the exact templates used by Janet Stephenson to demonstrate the techniques taught throughout the course. 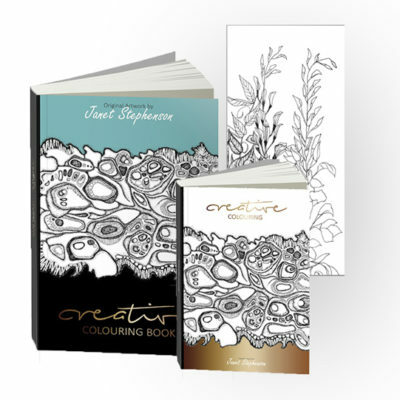 Templates include grid boxes, texture boxes, pattern boxes, colour circles, collage cuttings, practice doodles, a variety of intricate designs to work into, Janet Stephenson’s own exclusive artwork for you to colour, add texture and complete using your own ideas and style. The workbook was better quality than I expected so it’s a really nice keepsake. Being able to follow the tutors exact designs during the course really helped too. Really have enjoyed this course, Janet explains everything in a simple understandable manner. 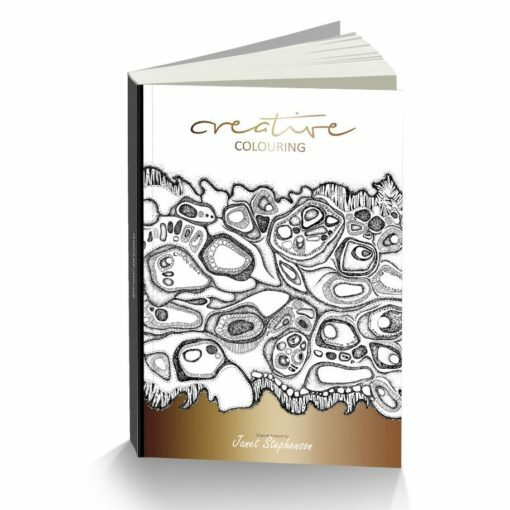 I didn’t know there was so much to learn about colouring! Thank you Janet for this course it will change the way I colour and help me experiment more with designing. This is an impressive high quality product that complements the course well. I am very impressed with the workbook. I like watching the modules and then applying knowledge to the relevant pages within the book. Good quality paper. Excellent quality. I am thoroughly enjoying working through the exercises with Janet. I would love more courses like this so bring them on! Love the course, Janet makes it interesting and explains in such detail it is easy to recall. 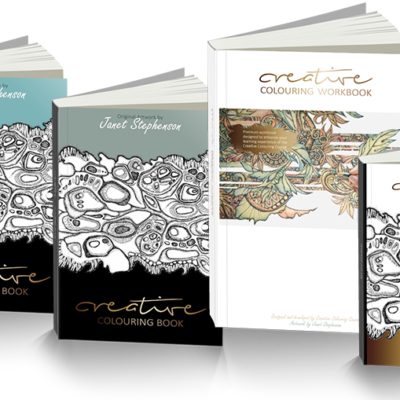 I photo copy the pages as the book is too good to spoil with my early attempts – once I improve – then maybe I will colour in the book too – who knows. Book arrived earlier than expected and is great quality. Looking forward to filling it up and developing my skills. Very fast delivery and good packageing. Georgous book, already started and loving it – cant imagine doing the course without it. A fabulous memory book too. So very very pleased. Really enjoying the course and the book is an added bonus. Using it for reference and to practise all the different techniques is really helpful. Will always be a point of reference in the future too. I’m so pleased I decided to do the course, it’s not only a trip down memory lane for me but has enhanced my techniques and returned me to the world of art, drawing and colouring. Colouring in has now become more advanced for me. Thank you so much. This is a lovely book to work with to be able to follow the online course work. I have not started the course yet but am looking forward to getting stuck in and having a go. It is a good quality book and arrived well packaged and in a good time frame. My workbook arrived in good order. Its a very good book that works well along side the course. I have not done any drawing for a very long time and this has helped me get interested again. After a problem with ordering the workbook, which was resolved easily, the workbook arrived earlier than expected and is of good quality, and I’m looking forward to working my way through with Janet’s help! I live in New Zealand and the book arrived so fast in perfect condition. I have not started yet but so glad I brought it, it looks like it will be a great reference to the course (which I loved) and something I can use again and again. Thanks! Arrived in a very short time, is of very good quality and I am looking forward to working my way through it. The workbook arrived very quickly and I am delighted with the excellent quality. Haven’t started the course yet but looking forward to completing this lovely book with Janet’s help. Would also like to take this opportunity to thank Sophie in admin. for her very professional and friendly help with a problem I had with my order. Thanks Sophie! Book arrived very quickly and is good quality. Having started the course I do not think there is a need for the book to successfully complete the course. If I had been able to see some of the content of the book online I would not have made the order. I do not think it is worth £40. Really enjoyed the course though. The workbook is very good quality and very informative also easy to follow instructions. Stunning… Need I say more. Really enhanced my course experience! I received the workbook package. 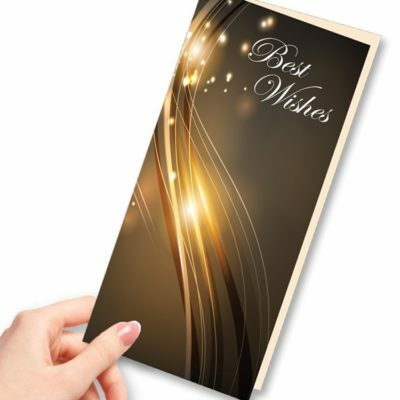 The books are great and I am sure that I will enjoy the course once I begin it. The book will become a keepsake for my daughter! Delighted with the workbook! As much as I enjoy learning online, I am happier having the lessons in print form too. Just adds a little extra something to the learning process.